This month we tour the Southwest German Railway Union, or Sudwest Deutsche Eisenbahn Verein, built by Dale Kraus. The SDEV runs four different Swiss and German railroads in HO and HOn30, or 76cm Gauge. 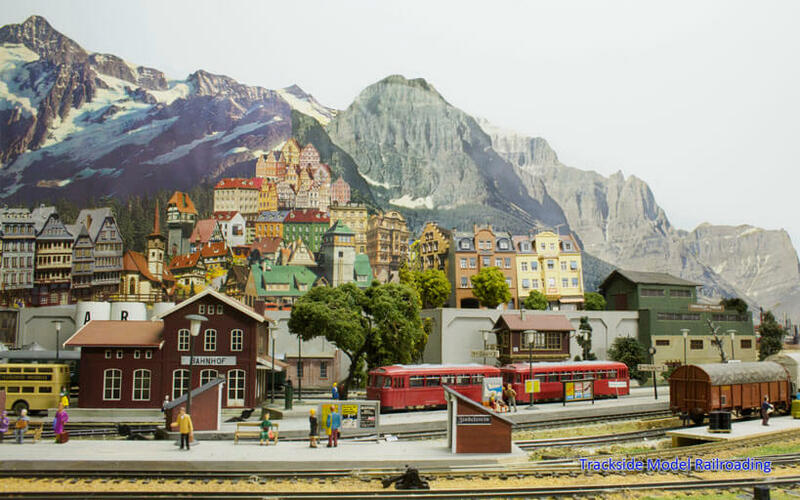 The large 1956 era layout is packed with German towns, as well as country scenes and stations. Dale completes the scenery with overhead catenary wires and other scenic details. 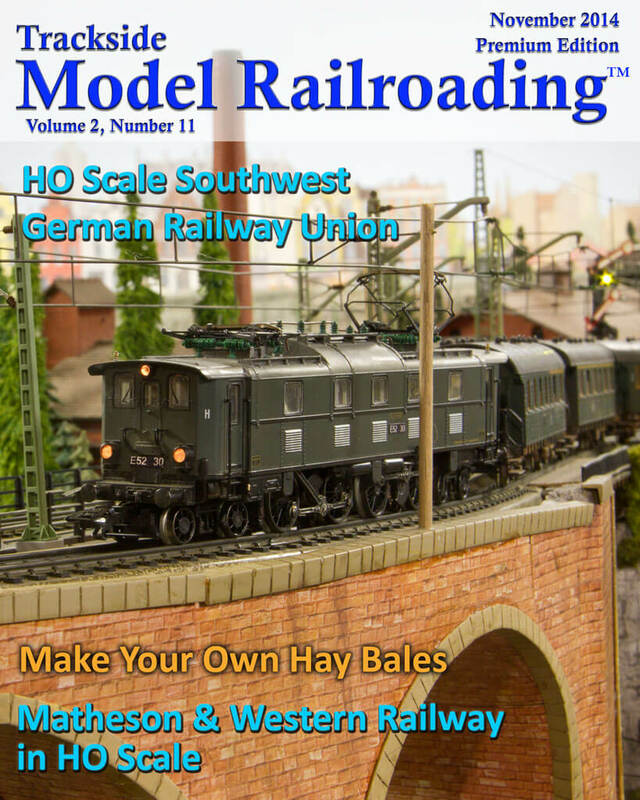 We also visit Greg Price's 1953 HO scale layout this month. Set in the Pacific Northwest, the Matheson & Western Railway interchanges with the Northern Pacific and Union Pacific Railroads. The M&W runs way freight and through freight operations as well as passenger and commuter trains, and Greg has constructed many scratch-built trestles and fine scenery on his pike. 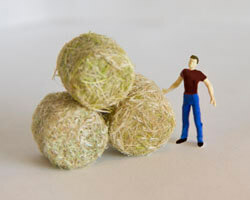 We show you how to make hay bales for your own layout. You can make either traditional rectangular bales or round bales with this simple project. Easy step-by-step instructions with photographs make this project easy enough for newer modelers to accomplish.